The thought of endodontic surgery can make anyone fearful when they aren’t familiar with the procedure. Sometimes people avoid endodontic treatments such as root canal therapy because of misinformation, which unfortunately tends to make the problem worse. To address these misconceptions, we’ve put together a list of three incorrect things that patients often think about endodontic surgery. We hope this helps to dispel unnecessary fears and keeps our patients well-informed! Focal infection theory has been thoroughly debunked. You may not know it by that name, but the concepts of focal infection theory are still very present in the public imagination. Yet this theory has been discredited by almost a century of research. 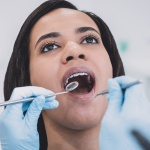 In the 1920s, Dr. Weston Price presented research that suggested that bacteria trapped during root canal treatment could “leak” and cause other degenerative systemic diseases such as arthritis, heart disease, gastrointestinal disorders, etc. Dr. Price advocated tooth extraction, the most traumatic dental procedure, which caused it to grow in popularity at the time. However, by the 1930s, studies using more modern research techniques and a better methodology showed the error in his findings. In 1951, the Journal of the American Dental Association (JADA) established endodontic treatment as the standard for best practice (in cases when the tooth can be saved). JADA found that Price’s early study lacked basic aspects of scientific research, such as not using proper control groups. The takeaway is that root canal treatment has absolutely nothing to do with the causes of systemic diseases. Alzheimer’s disease CANNOT be transmitted through endodontic surgery. Endodontic surgery is cheaper than tooth extraction. For many people, the sticker price of a root canal can be a turnoff to getting the procedure. Tooth extraction seems like a simpler, more straightforward procedure. But the reality couldn’t be more opposite. Root canal treatment is the less expensive option in the end because extraction costs don’t just stop with removing the diseased tooth. 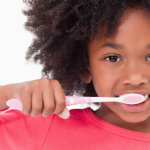 Tooth extraction brings a new set of challenges, such as the need to replace the tooth. Whether you choose implant, bridge, or dentures, it will bring an additional cost that is not included in the price of extraction. Not replacing the tooth is a worse option, as this can cause even more serious dental conditions involving multiple teeth down the road. 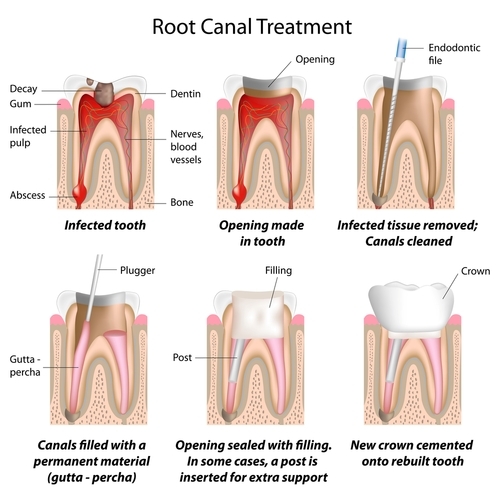 Root canal treatment is a convenient and virtually painless method of “fixing” an inflamed or infected tooth. 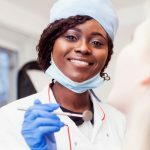 Your dentist will evaluate your specific condition based on your unique dental history to determine whether you are a candidate for the surgery. In the majority of cases, a root canal procedure is preferable to tooth extraction. Endodontic surgery does not put you at risk for Alzheimer’s or systemic disease. If you are concerned about any other health conditions, it is best for you to discuss that with your dentist before making a decision. 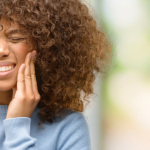 To get reduced prices on root canal treatment, please schedule an appointment for a root canal consultation at Penn Dental Medicine by calling 215-898-8965.